That it was not Alvard whom Cromwell might have replaced at Orford is clear from the election there of two other men. 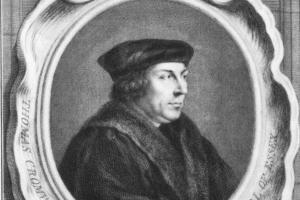 Yet one of those men, Erasmus Paston, was such as Rush might have tried to supplant; the seat which he took had probably come by 1529 under the patronage of the Duke of Suffolk, with whom Rush had long been associated, while Rush’s own standing at Orford could have counted for something. Thus if it was at Orford that Rush was expected to intervene it could not have been at the expense of his stepson, who was not elected there, and Cavendish’s statement, if it is to be accepted, must apply to a different borough. The obvious first choice is Ipswich, where Rush’s influence was at its strongest and where he himself was to take the senior seat; but although Rush may well have hoped that his stepson would be his fellow-Member (as Alvard was later to become, by way of a by-election) the issue had been decided three weeks earlier when Thomas Hayward, the Ipswich common clerk, had been elected. With Orford and Ipswich thus ruled out there appears to be only one way of reconciling Cavendish’s statement with the rest of the evidence, namely, by concluding that it was at Taunton that Cromwell replaced Alvard. It is not hard to imagine that if Rush had failed to find Alvard a seat nearer home he should have turned to one of Wolsey’s boroughs, where Paulet as steward evidently handled the nominations; nor would it be surprising if, once Cromwell had gained the King’s consent to his own election, Rush and Alvard had yielded to his superior claim and Paulet had substituted his name on the return. Whether the King or Norfolk brought any pressure to bear it is impossible to say. Although this list reflects Cromwell’s interest in the recruitment of Members, it reveals little effort on his part to introduce his own dependants or associates. The great majority of the names are those of men of independent standing in their localities, and Cromwell’s—if they were his own—choices between them are scarcely revealing. But as yet he was standing only on the threshold of supremacy; the year that followed shows him wielding increasing influence on behalf of particular individuals. The loss of so many returns puts out of the question any measurement of his intervention: out of some 40 by-elections known or presumed to have been held from the beginning of 1533 to the close of the Parliament, 16 produced Members whose names have not survived. Yet the names which are known include those of several men who stood close to Cromwell, among them Thomas Alvard, Sir Francis Bigod, David Broke, Sir Roger Cholmley, Thomas Derby, John Goodall and Robert Southwell. Cromwell’s management of this Parliament doubtless included the timing of its recurrent prorogations, which matched the vicissitudes of the political and religious scene, and of its eventual dissolution. In retrospect this final act was to prove a blunder, for within two weeks of the dissolution a fresh Parliament had to be summoned in consequence of the King’s decision to make away with his second Queen. It was with the intention of making the new Parliament in effect yet another and concluding session of the previous one that the King caused the writs to be accompanied by a request for the re-election of the same Members; the device had been used once before in the reign, in respect of the Parliament of 1515. In theory, therefore, the Parliament of 1536 furnished no opportunity to Cromwell to intervene in the elections, which should have been predetermined. In fact, the outcome was somewhat different. Of the 312 Members presumed to have been returned the names of over two thirds are irrecoverably lost; of the 68 whose names are known 47 had certainly and a further four had probably sat in the previous Parliament, while 15 had certainly not and two had probably not done so. If these Members were roughly representative of the whole, it follows that approximately three quarters of the Commons of 1536 were old Members and one quarter fresh ones, and that the royal request met with less than universal compliance. Some degree of change would have been unavoidable: old age, sickness or death, and in one or two cases appointment to debarring office, must have excluded some former Members from reelection, but the majority of those who did not reappear probably found other reasons or were officially discouraged or eliminated. 1. LP Hen. VIII, iii. 3249. 3. Date of birth estimated from marriage. This biography rests on the numerous writings of Prof. G.R. 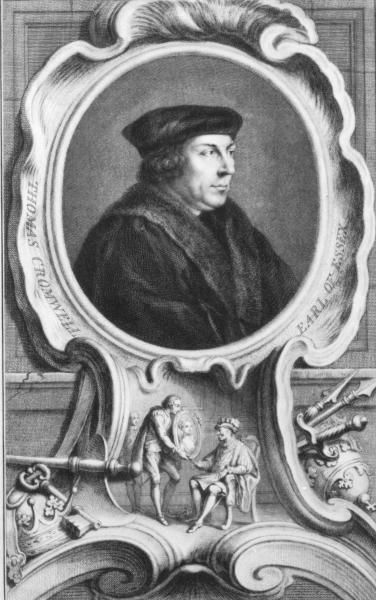 Elton and on B. W. Beckingsale, Thomas Cromwell. DNB; CP. 4. Archiv fÃ¼r Reformationsgeschichte, lxviii. 193; LP Hen. VIII, iv-xiii; Somerville, Duchy, i. 604, 606, 614; Bristol AO, 04026/2/202; Westminster abbey reg. 2, ff. 288, 298; LJ, i. 84, 103. 5. Archiv fÃ¼r Reformationsgeschichte, lxviii. 193-5. 6. Ibid. lxviii. 194; M. L. Robertson, ‘Cromwell’s servants’ (Univ. California Los Angeles Ph.D. thesis, 1975), 44-45; LP Hen. VIII, ii-iv. 7. LP Hen. VIII, iii. 2958, 3249; R. L. Woods, ‘Pol. and precedent: Wolsey’s Parlt. of 1523’, HLQ, xl. 297-312; Merriman, Cromwell, i. 30-44. 8. LP Hen. VIII, iii, iv; J. Youings, The Dissolution of the Monasteries, 27-29; J. E. Oxley, Ref. in Essex, 70-81; G. Cavendish, Wolsey (EETS ccxliii), 112-13, 123-7, 129-32. 9. LP Hen. VIII, iv; A. J. Slavin, Pol. and Profit, 19-20. 10. Cavendish, 112; Slavin, 19. 11. LP Hen. VIII, iv-xi, xiv, xv; Elton, Reform and Renewal, 78-97 passim; Policy and Police, 101; ‘Parlty. drafts 1529-40’, Bull. IHR, xxv. 117-32; xxvii. 198-200; ‘The evolution of a parlty. statute’, EHR, lxiv. 174-94; ‘The Commons supplication of 1532’, EHR, lxvi. 507-34; ‘An early Tudor poor law’, Econ. Hist. Rev. (ser. 2), vi. 55-67. 12. LP Hen. VIII, vii vii. 56 citing SP1/82, ff. 59-62; A. F. Pollard, ‘Thomas Cromwell’s parlty. lists’, Bull. IHR, ix. 31-43. 13. LP Hen. VIII, vii. 1522(ii) citing SP1/87, f. 106v; ix. 1077 citing SP1/99, p. 234; Bull. IHR, ix. 31-43. 14. LP Hen. VIII, vii. 1522(ii) citing SP1/87, f. 106v; Bull. IHR, ix. 31-43. 15. LP Hen. VIII, x. 40(ii) citing Cott. Otho C10, f. 218. 16. Elton, Eng. under the Tudors, 175; LJ, i. 88, 95, 97-101. 17. LP Hen. VIII, x, xiv. 18. Ibid. xiv; Norwich mayors’ ct. bk. f. 152 ex inf. Dr. J. Miklovich. 19. LP Hen. VIII, xiv; LJ, i. 103-25. 20. LP Hen. VIII, xv; LJ, i. 128-43; Elton, ‘Thomas Cromwell’s decline and fall’, Camb. Hist. Jnl. x. 150-85; R. C. Strong, Tudor and Jacobean Portraiture, 112-14.